The pump is the true “WORK HORSE” of the entire filtration system. 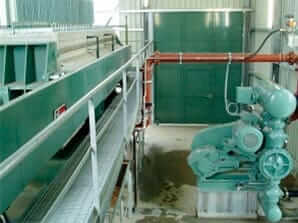 The selection of the optimum pump to feed a filter press will greatly affect the performance of the filtration system. 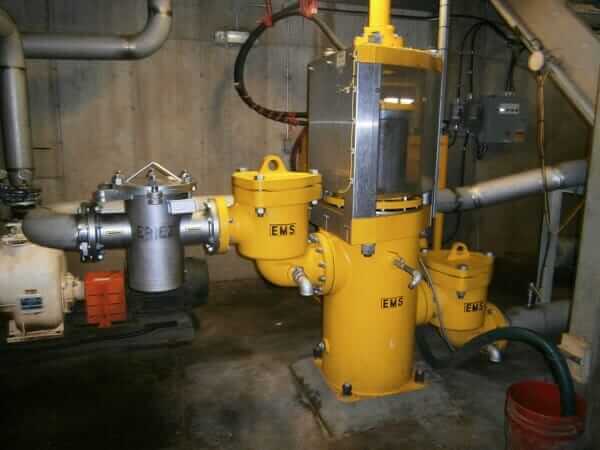 Pump selection and pump maintenance is a key to “on-line time”. Filter cake use: product or waste? Since 1976, Universal Pumping has been specifically designing and selecting filter press pumps for some of the very largest filter press systems in the world. Some of these presses / pumps operate at filtration pressure up to 450 psi (30 bar) and initial flow rates of 2000 gpm are not unusual. Our program of positive displacement pumps covers the full range of press sizes from the 470mm to the 2m x 2m. 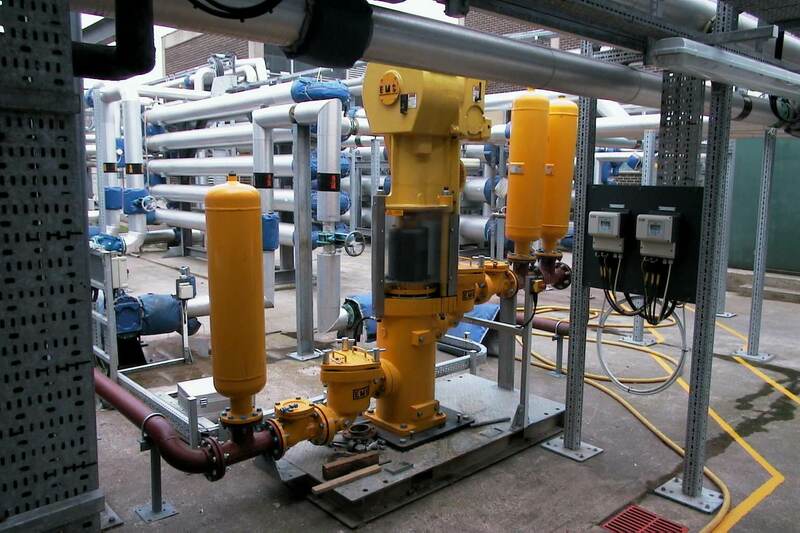 We offer the simple design of hydraulically operated EMS Ram Pumps which were first developed for pumping the thick abrasive ceramic slurries for the pottery industry in England in the 1940s, as well as the Piston Membrane/Diaphragm Pumps, which evolved for feeding the presses in the 1960s. For those of you who have used Progressive Cavity Pumps for feeding the Filter Presses, history shows you spent excessive money and filtration time to maintain the rotors and stators. Air Diaphragm Pumps are inexpensive; however the energy cost of running the air compressor should be part of the analysis. 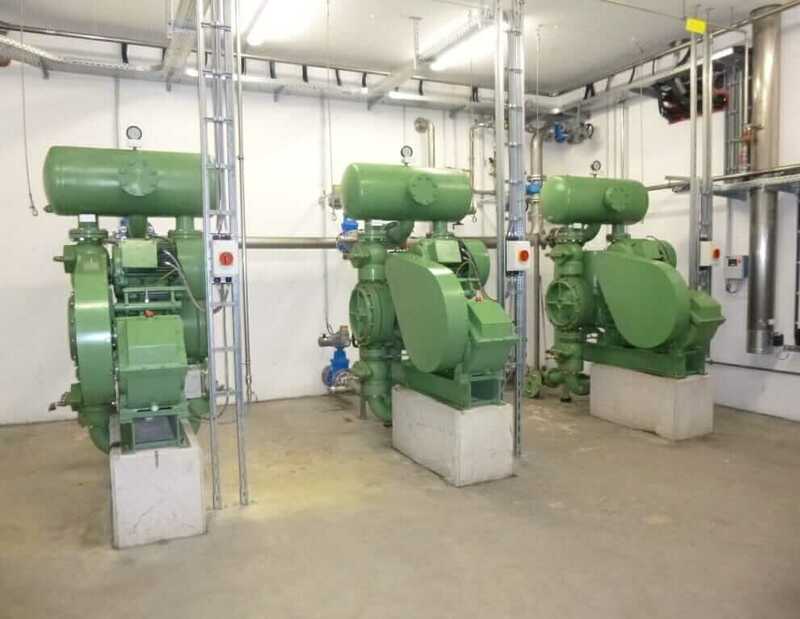 Centrifugal Pumps are sometimes the correct selection for filtration processes and we often utilize a combination of centrifugal and positive displacement pumps to offer the optimum design of a complete pumping system.